You don't have to be flexible to practice yoga! The Yoga taught at Banksia Yoga is strongly influenced by the teachings of Donna Farhi, and is enquiry based providing true empowerment for each student to find and honour their truth in every moment. 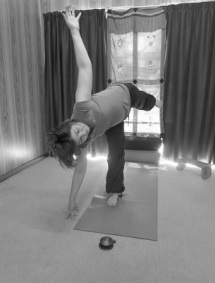 Hatha Yoga is suitable for all ages, for women and men. Please consult your treating medical practitioners if you have any concerns before starting yoga. "yoga gives us the skills to meet life, head on, with dignity and poise"
The name Banksia Yoga is inspired by the beautiful sprawling banksia tree, and the many birds it nurtures through its flowers. The centre of the Banksia represents the still point in us all, that which is unchanging through time and the chaos of life. The flower of the Banksia is like life, swirling, busy, vibrant. The leaves around the Banksia represent how the 8 limbs of Yoga can support us through all stages of our lives and continually help us return to that still point in the centre.